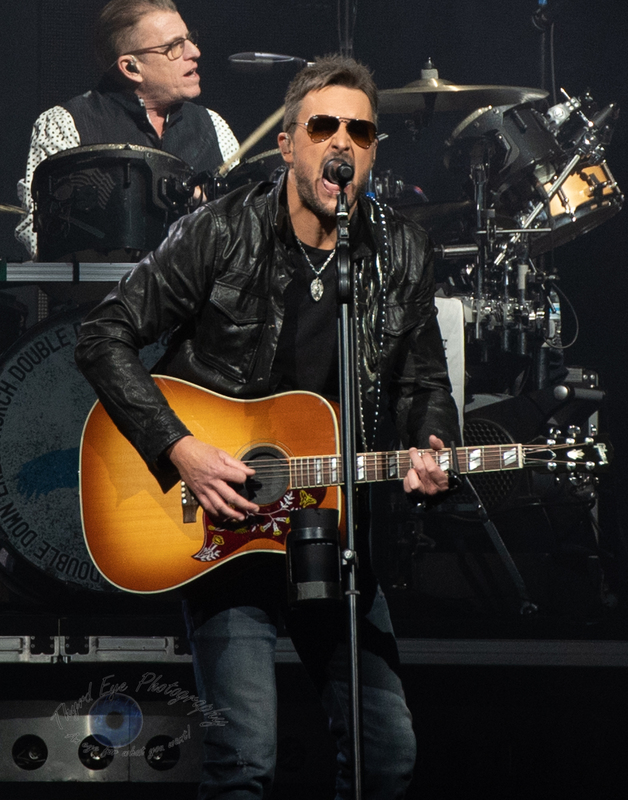 Eric Church performing at Enterprise Center in Saint Louis Friday. Photo by Sean Derrick/Thyrd Eye Photography. There are plenty of music superstars who have performed back to back shows in cities where demand justifies a 2nd show. There are a few that will schedule 4, 5 or 10 shows in one city for a benefit or special occasion (see Garth Brooks). Then there is Eric Church. 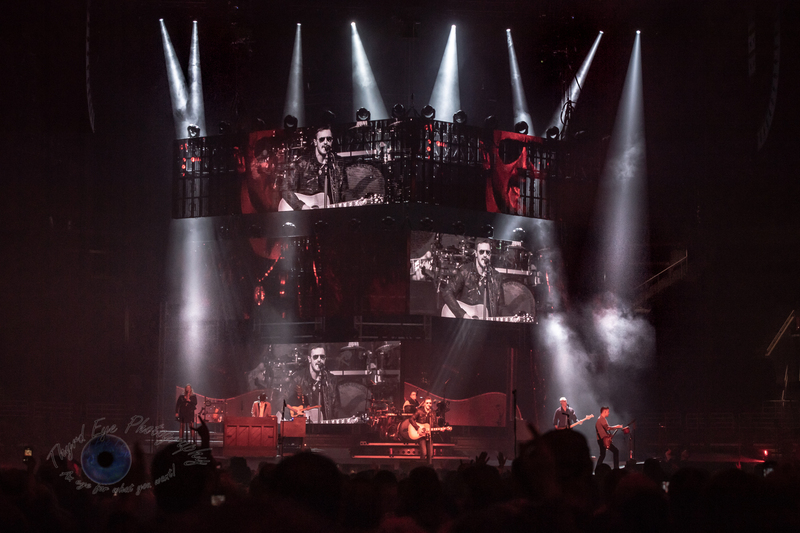 Country superstar Eric Church has gambled that he can play 2 nights back to back, with different material each night, for not just a couple cites, but for an entire tour. Starting last weekend in Omaha, Nebraska Church made Saint Louis his 2nd stop, at the spacious Enterprise Center. By performing only on Friday and Saturday nights through the end of May, Church hopes that a weekend only tour will up the chances of more people coming out. So far he is spot on. Playing to a nearly full house of more than 15,000 Friday Church kicked off the set with “Knives of New Orleans” and his latest single “Desperate Man”, before taking the crowd back to his first single, 2006’s “How ‘Bout You”. The stage was setup so it had a pit separated from the rest of the audience in a walkway for Church and his band that encircled the fans in the pit. From this walkway Church would routinely greet fans and even sat down and sang “Springsteen” one by one to a couple little girls in the front. Several songs were perfect setups to getting the crowd to react. For instance, on “Record Year” fans in front held up albums and Church gladly held up each one and showed himself signing them before returning each one. And wouldn’t you know it, the same thing happened on “These Boots”. Yep, fans down front took off one of their boots and held them up which drew a giggle from Church. Pretty soon fans throughout the arena held up boots as well. And yes, he took some of those and signed them as well. Throughout the night Church pulled from every aspect of his catalogue, from major hits like “Springsteen” and “Drink in My Hand” to deep cuts like “Higher Wire” and “Mixed Drinks About Feelings”. Throughout the set Church paired at times with his backup singer, Joanna Cotton, even letting her sing the entire cover of The Beatles’ “Come Together”. With a propensity to mix rock into his songs Church’s songs tend to be more upbeat than not. The songs chosen for the show Friday reflected that. They also reflected the great admiration he has for those that pave the way before him, either in country or rock with his ode to Merle Haggard “Pledge Allegiance to the hag”, the aforementioned Beatles’ classic “Come Together” and “Springsteen”. Church’s voice sounded strong throughout the night and his band was mid tour tight. The show was not without its glitches, however. There was a technical malfunction during “Talladega” where Church’s mic had gone out momentarily, but he trooped on and it was resolved. Also, the show start time was pushed back nearly 45 minutes, but instead of cutting the show short and stopping at the 11:00 curfew Church continued on and played until about 11:45, giving the audience their full monies’ worth and eating the $1,000/minute fine. So, kudos for him on that. The first show was superb and judging from the setlist on the 2nd night it seems that was a winner, as well. 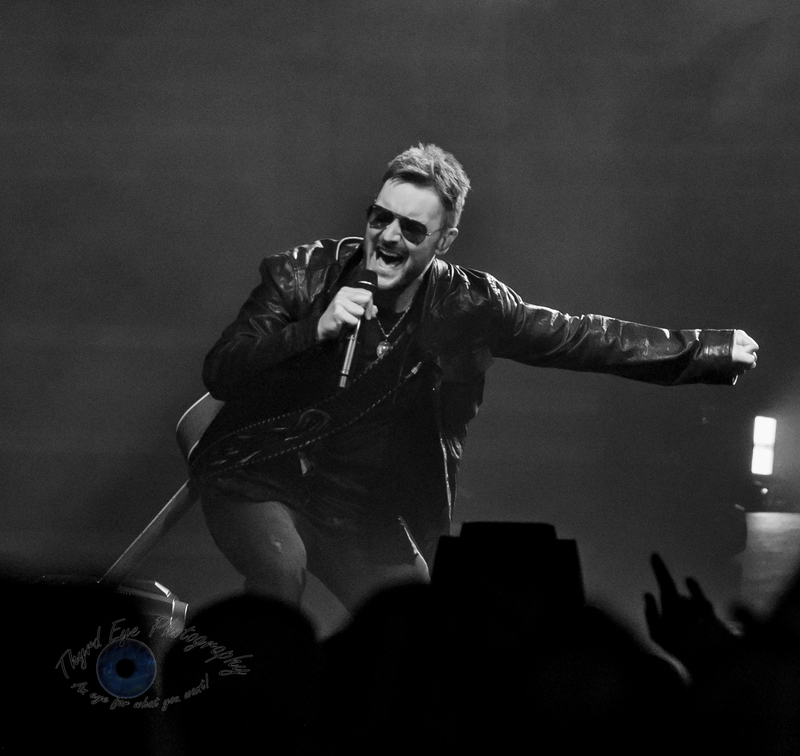 Be sure to check out the photo gallery from the show after the setlist below. 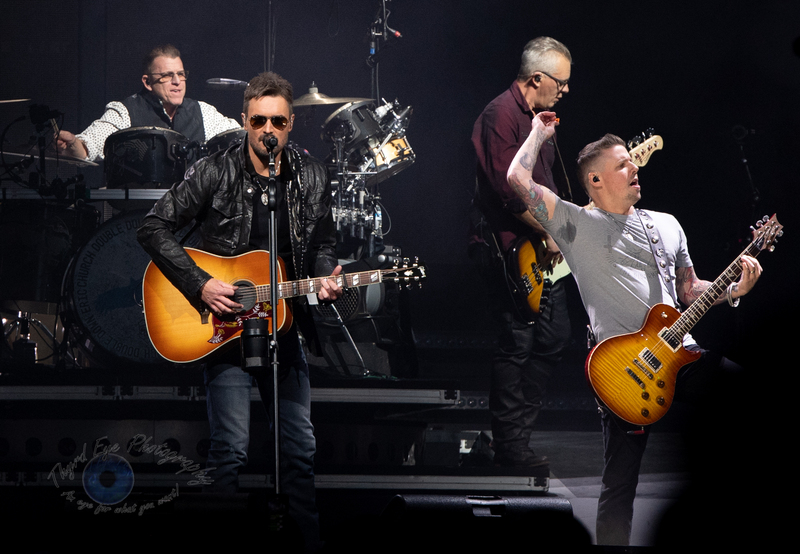 Joanna Cotten performing with Eric Church at Enterprise Center in Saint Louis Friday. Photo by Sean Derrick/Thyrd Eye Photography.